A 34-year-old died after being struck by a sheriff’s deputy cruiser while stopped at a red light. Gloria Boccio, a deputy for the Osceola County Sheriff’s Department, failed to stop and crashed her cruiser into the back of the truck, killing the driver. The truck hit two other cars that were also stopped at the light and the drivers of those cars weren’t injured. Boccio was treated for minor injuries. The cause of the accident is under investigation and Boccio is on paid leave until the investigation is complete. Each day in Florida some 20 police cars run into something, whether it’s another vehicle, a utility pole, person, or something else. These crashes result in the deaths of 20 some people, injure 2,400 additional people, and cause an estimated $25 million in damage to property. Out of the estimated 7,400 crashes that involve police each year, in one quarter of the crashes, the police officer is at least partially to blame. However, they are rarely ticketed for their fault in the accident. In most car accidents, a driver can be found negligent if they are determined to be the cause of the accident. However, when a police officer or other government employee is found to be at fault in an accident, Florida laws limit the amount a person can be paid for their injuries. This is due to sovereign immunity, a law that was historically enacted to protect kings from being sued by those that they ruled. Though laws were passed by our Founding Fathers to allow citizens to sue a municipality, city, or government, the laws also limited the amount of money the government would have to pay if they were sued. No matter the amount of loss or damages caused by the police officer or other employee, there is still a limit to how much the plaintiff in the case can receive. In addition, the law states that you can’t sue the employee individually. Florida statute states that neither the state or subdivisions or agencies shall be found liable and have to pay a judgement or claim that exceeds $200,000, or any judgement or claim when totaled with other judgements or claims exceeds a total of $300,000. This means that, for example, if a police officer was looking at a screen in his patrol car, ran a red light, and injures you, the maximum you can be paid is $200,000. Is It Possible to Collect Over $200,000? The answer is yes, but only if the county, city, state, or other governmental agency is willing to do so after a special claims bill is submitted to the municipality and subsequently approved. 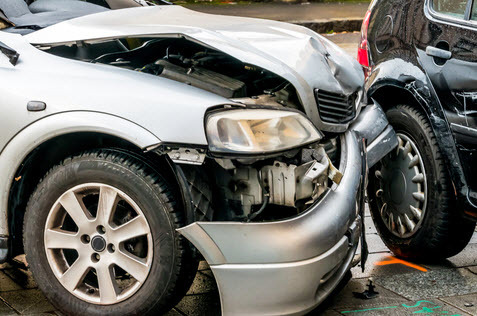 The attorneys at Leifer Law Firm in Florida have decades of experience helping their clients receive the compensation that they deserved after being injured due to the negligence of another driver. We can help you too. Contact us today to schedule free and confidential consultation at one of our many Florida locations.